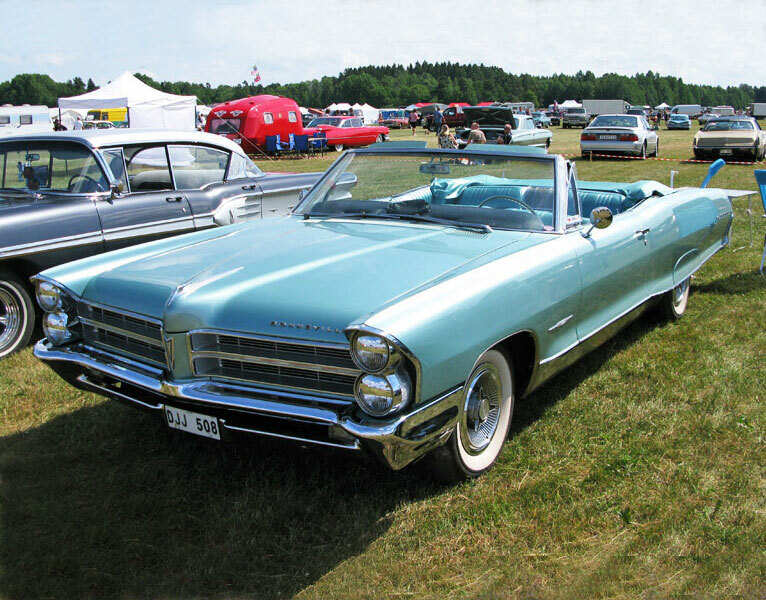 The “Power Big Meet” in Sweden (often referred to as just the “Power Meet”) claims to be the biggest 1950s – 1960s American classic car show on the planet. 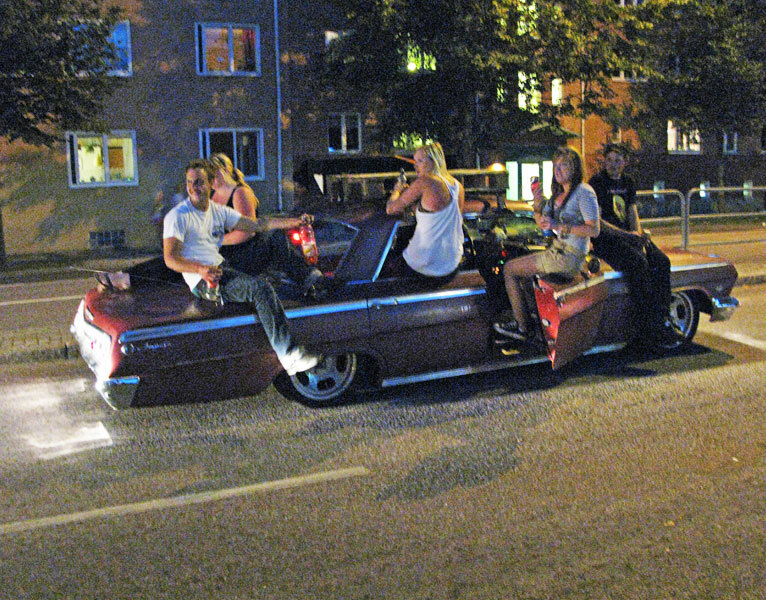 Who knew that American classic car culture was alive and well in Sweden! My Power Big Meet journey started when I met two Swedish car enthusiasts at the Portland swap meet. 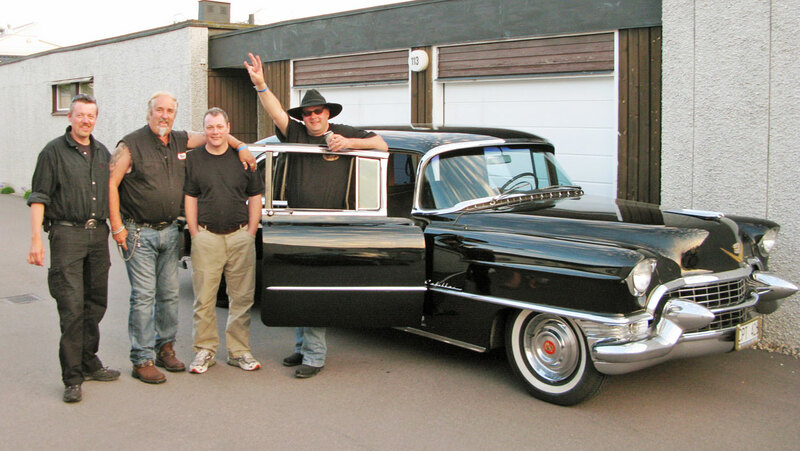 These guys were on a 1950’s – 1960s American car shopping spree. 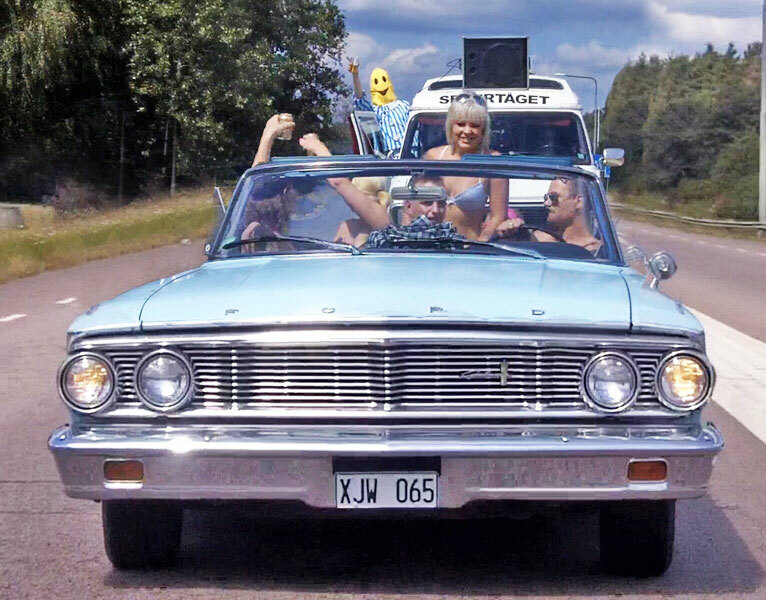 They explained the popularity of these cars back home and invited me to join them for Sweden’s Power Big Meet. This seemed crazy but I had to go over and check it out. 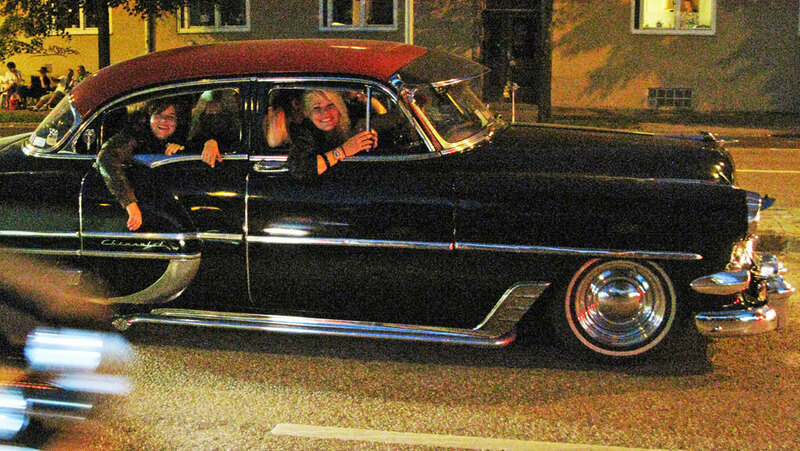 Arriving in Sweden for the three day extravaganza I was greeted by my friends in their 1953 Cadillac limo. This would be our transportation for the weekend. 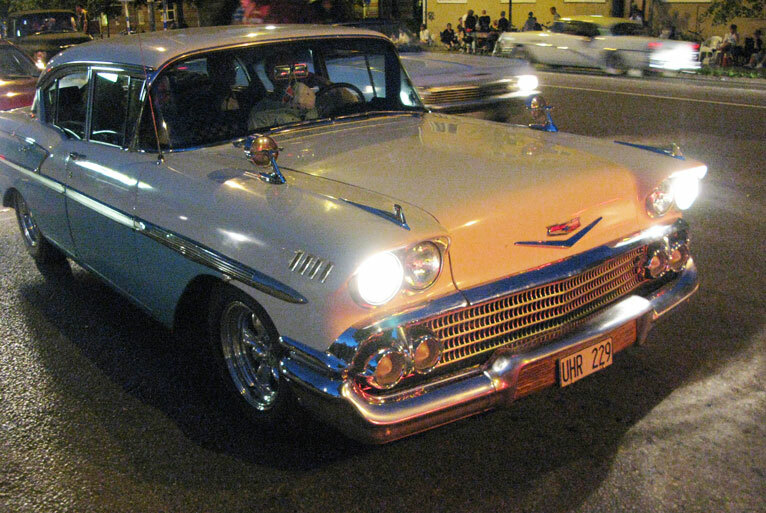 It was like stepping into a time machine and going back to the 1950’s. Everywhere I looked was big American iron. 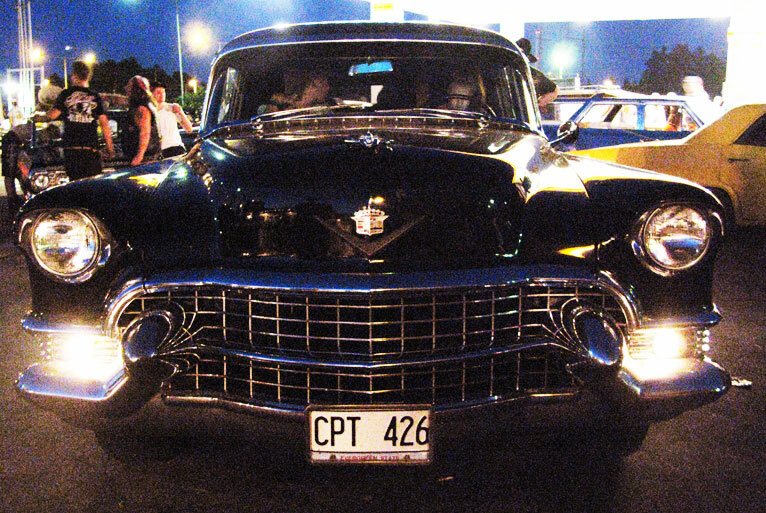 Daytime activities consisted of looking at cars and parts in a very large swap meet format, then at night endless cruising till early dawn. People hanging off car as they slowly cruise down the street all night long. Sweden never gets dark in July, just a little twilight and then morning again. 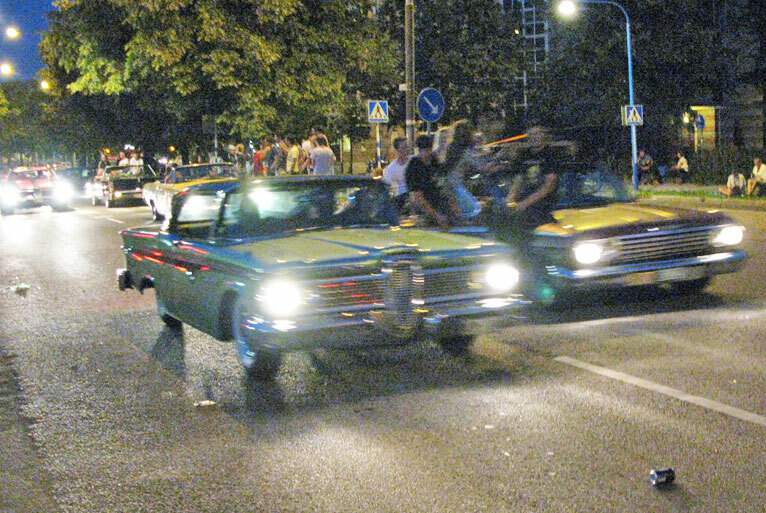 I had no idea Sweden was so into 1950’s-1960’s American cars. Starting in the 1920’s Ford and GM both had assembly plants in Sweden and Ford’s lasted till the mid 1950’s. 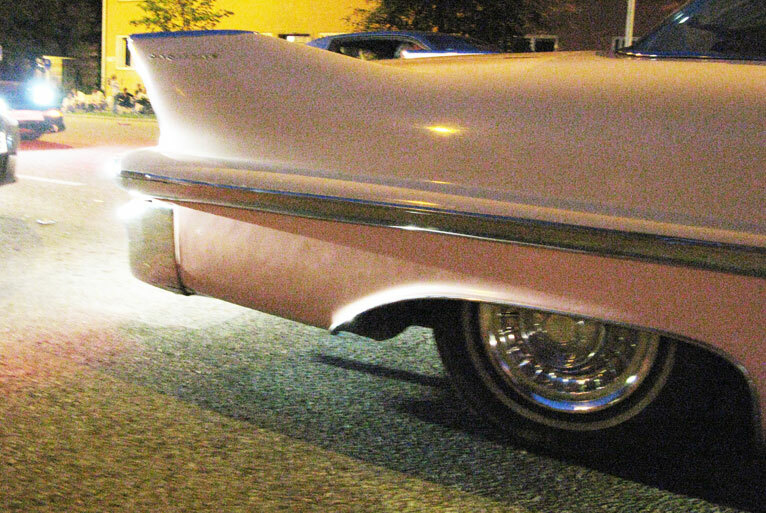 The American car culture runs generations deep with this crowd and it shows. Entire families were sharing in the fun. Poodle skirts and slicked back Elvis hair was in full effect. The Power Big Meet is a real celebration of vintage American car culture. You have to see it to believe it.